This series has yet to disappoint, and this was my favorite book in the series, so far! I love the Blackthorn world the author has imagined and brought into reality. The ground work for plot twists to come was masterfully laid out, and realized in this edge-of-your-seat romance between Sophia and Jask Tao. A fantastic read! 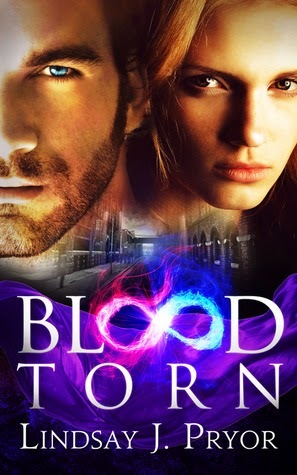 Sophia has inherited her sister's secret serryn powers, which enables her to kill vampires. But inheriting such powers hasn't come without a cost... And she is determined to locate her sisters to ensure their safety. For years, Sophia has fought the third species in the underbelly of Blackthorn. Now, she has a real shot at defeating her enemies. Alas, fate has a different plan when she is discovered by the lycan leader, Jask Tao. Jask Tao is the virile leader of the Blackthorn lycan pack. He is fierce, loyal, and determined to keep his pack safe, even at the risk of his own demise. He vows to suppress the intense attraction he feels toward his new captive, Sophia, because she is key to saving his pack. But as was the case for Sophia, Jask Tao has his own challenges in confronting the powers that be... and the adventures begin! This is an intense and intimate tale, with a dance between characters that is both captivating and turbulent! I could not put it down, and I absolutely loved the ride! A must read! I've only read the available taste, but I've been dying for the release. Thanks for review, now I'm even more anxious.